As many as 1 million people fled the city due to the conflict, but today 870,000 have already returned to their hometown. Hiba, Mental Health and Psychosocial Support (MHPSS) Case Manager at International Medical Corps, is one of them. She left Mosul in 2014 and ended up assisting people just like her: people whose lives have been torn up by war. Once she returned home, she continued to treat people scarred by the agony of conflict. 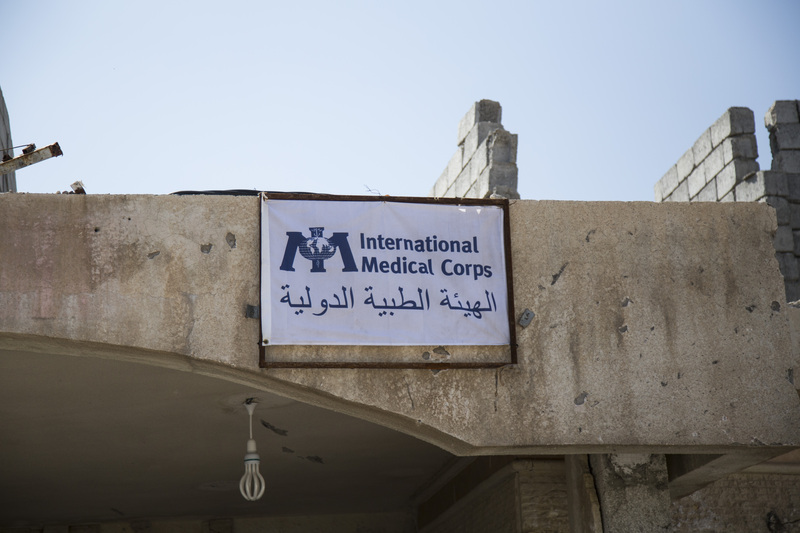 When displaced Iraqis returned to Mosul, International Medical Corps was there to help. 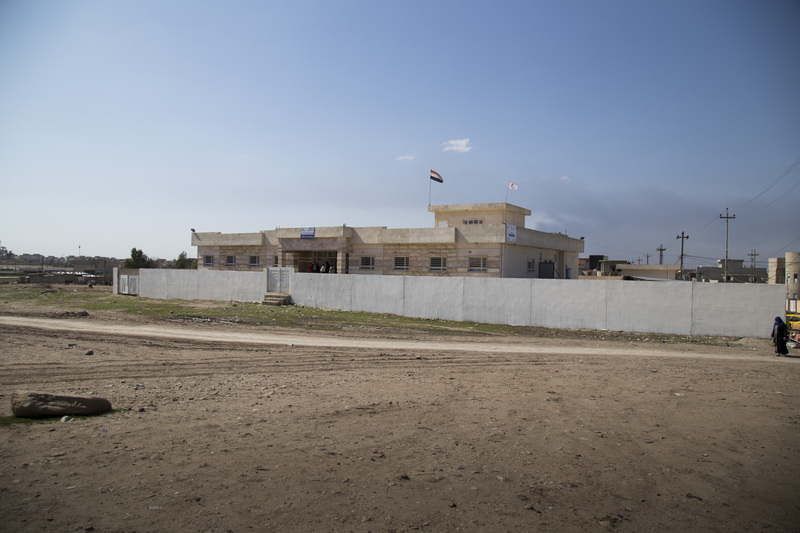 Local heroes such as Hiba (top photo) are providing support at various locations in the region, including primary health clinics in Qariha (above) and Arkan (below), in northeastern and eastern Mosul, respectively. Mosul is Hiba’s hometown—it’s where she grew up. With a wish to understand the people and the dynamics of her community, Hiba went to University there and graduated with a degree in sociology. Mosul is also where Hiba met her husband and where the couple got married. Hiba and her husband now have four children. Before the occupation, the family lived in a district called Al-Noor—a vibrant and densely populated part of Mosul. Hiba describes July 9, 2014—the day she and her family had to leave the city—as the “apocalypse.” In lines stretching as far as the eye could see, families fled Mosul, many of them by foot—bringing only what they could carry. She also recalls what felt like a never-ending wait until the family was cleared to enter Iraqi Kurdistan. When Mosul was retaken from ISIL, Hiba returned to her hometown, together with her family. She feared that their house had been badly hit by air raids—a fear that was confirmed when they finally arrived to their house. Two-thirds of the family home was completely ruined. Unfortunately, Hiba’s fate is not rare. Since the fall of ISIL, the United Nations and its partners have carried out assessments in Mosul. Aside from the obvious loss of and damage to life, the team discovered immense damage to hospitals, bridges and schools—all of which are cornerstones of a functioning society.